Katrina metal mask is hand painted and is accented with a laser cut metal glittered flower and jewels. 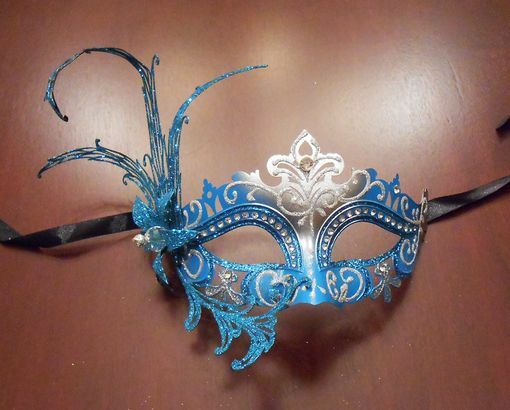 This mask is great for any masquerade event. Comes with black ribbon ties.